← Tis the Season to Be Behind! After too many dreary, rainy, cloudy, raw-feeling days, the sun is shining brightly today. “Out!” I said to the animals. “Out you go! 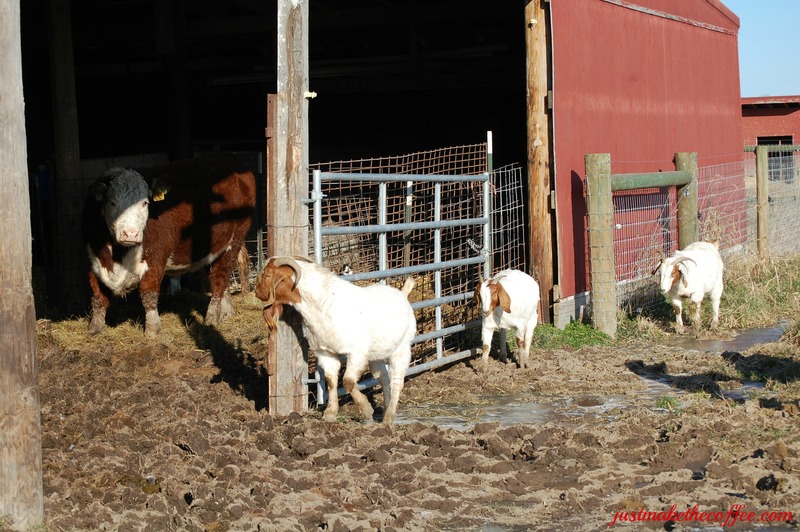 !” Yesterday, we opened their gates as the muddy, soft ground was starting to freeze up, making a firm enough foundation for them to walk on without ruining the pasture. 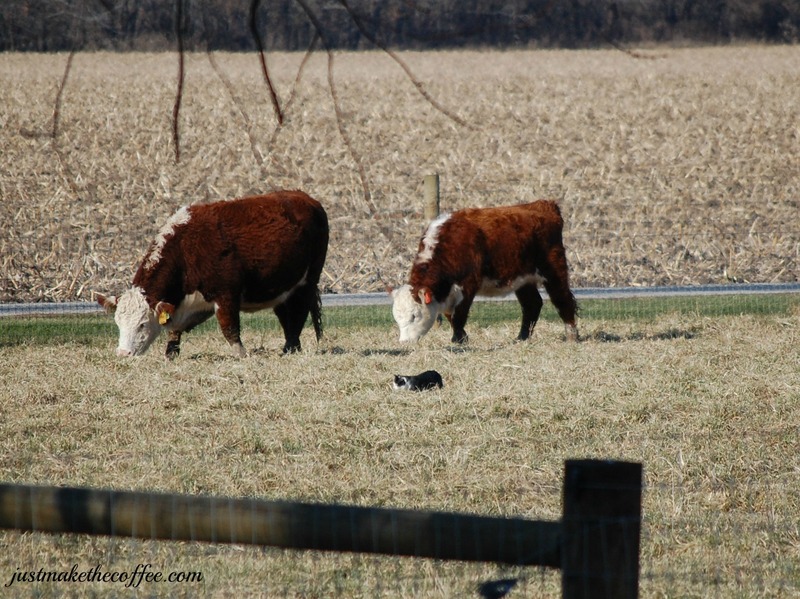 It cuts down on hay use when they can graze in the pasture. Plus, the bonus of exercise is good for them. However, this morning I heard them complaining and grumbling. They were expecting their meals-on-wheels to be delivered to them. They wanted to soak up the sun and have the work done for them. Not even leaving a tip! I started with Happy. He does get his hay since he doesn’t get to roam the pasture with the others. Happy is a good boy for me, but is a bit of a control-freak, wanting everyone to do what he wants. You might even call him a bully. Or, just a pain in the _ _ _. After all, he is one. Sometimes, it is best just to leave asses alone. 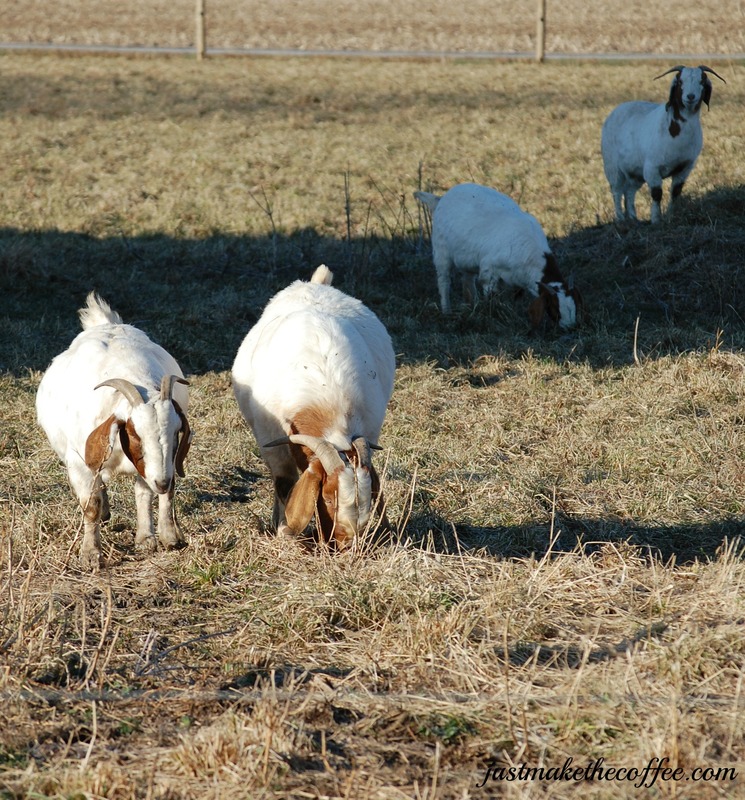 Since it is the end of the year and a good time for reflection, as I coaxed the goats out, I thought about just how easy it is to become complacent. Doing the same things, day after day, just because that is what we did yesterday. After the goats were out, they followed me about on my walk. They enjoyed it once they were encouraged out of their status-quo. They found, that the grass, really might be greener … if you aren’t afraid to look and work for it. Bernice, was more cautious. Reasonably so, checking her footing as she ventured out. After all, she is preggers again. There are times when caution is wise, of course. The big babies were the cows. Normally, they love being out on the pasture. However, they had gotten very content with us hand-delivering their hay, not having to put much effort into their reward. Why bother exerting effort, when the reward is coming regardless of what you do, right? 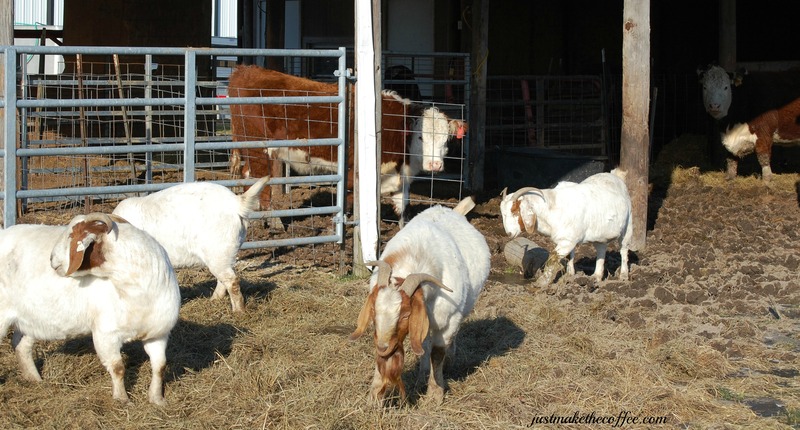 So, the goats and I walked through the pasture to the cow barn to see what the lazies were doing. Would you look at that?! Those now-non-complacents are infringing in our territory! Why are they changing things up? Why are they here? Why do they think we have it better over here? Isn’t it sad how easy it can be to stagnate, like a puddle of murky, oxygen-deprived water? The birds know to keep moving or freeze or starve and also to keep their face to the sun. Now that the holidaze are almost over … what will you do in the New Year? Stagnate? Branch out? Exercise? Become lethargic? Motivate or drag down? Work a little harder for your reward? Sit back and feel entitled? Be complacent or challenge yourself? I hope you keep your face to the sun and let the shadows (and nay-sayers) fall behind you. 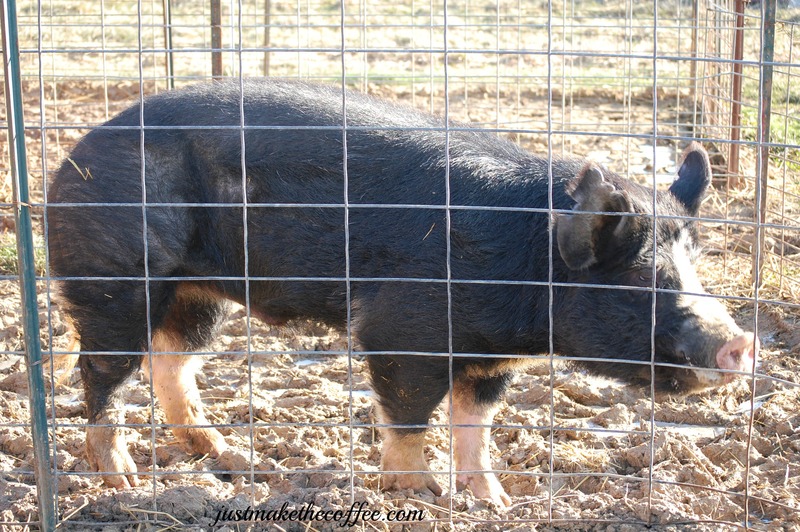 This entry was posted in Berkshire Pigs, Boer Goats, Country Living, Happy the donkey, Holidaze, Polled Herefords, Random Thoughts, Work/Career and tagged Berkshire pigs, Boer goats, chores, farm animal photos, Happy the donkey, holidaze, New Year, Polled Herefords. Bookmark the permalink. 15 Responses to Crisp, Cold & …. Complacent? Once again, I love your photos (and captions)! And you’re so right about it being easy to become stagnate. I’m afraid I’ve done that as far as my morning walks go….it’s hard to get motivated when it’s so dark and cold in the mornings. But I’m going to TRY! Happy New Year to all of you! Cold, dark winter mornings … are not very motivating at all! I am thankful I can wait until daylight to do chores now. Happy New Year! Yes, we have a propane heater for a “farrowing house” that we enclosed in the barn. It has sure come in handy for many a reason. Last year, the goats kidded during that awful winter we had, and we were able to utilize it for them. It is great to have a room like that. Happy New Year! 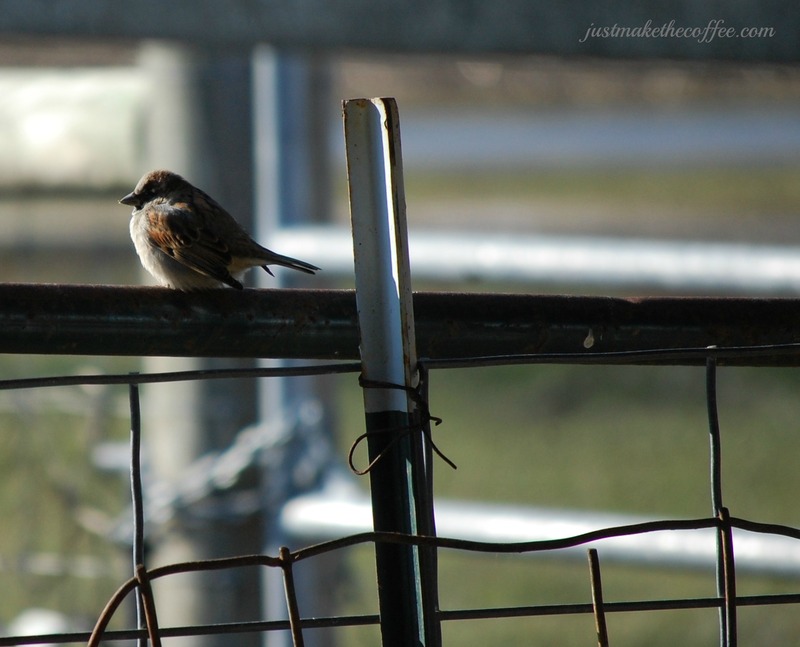 I have so enjoyed getting to know you and all your critters…I just don’t think it’s a farm without critters. 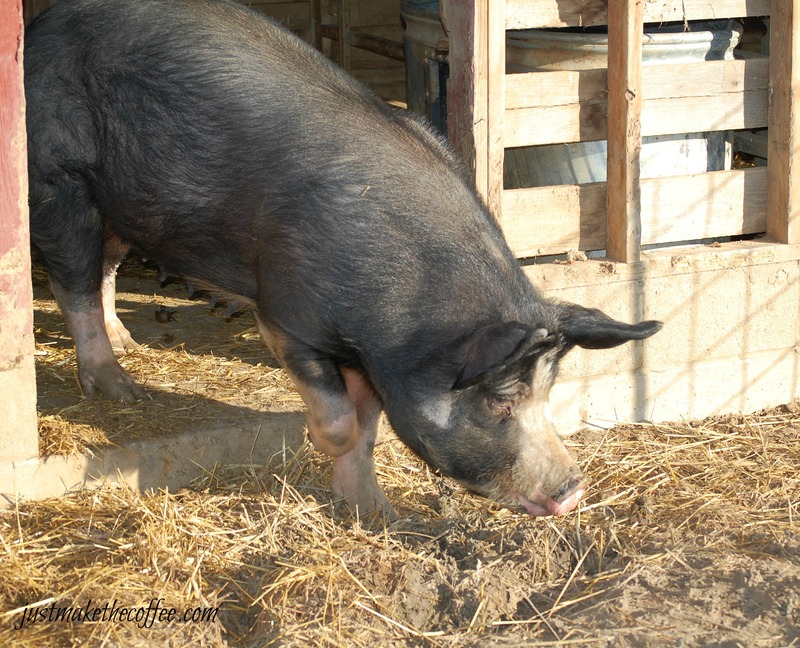 Although, I know we farm…I do miss our animals! I really enjoy having a little of this and that. 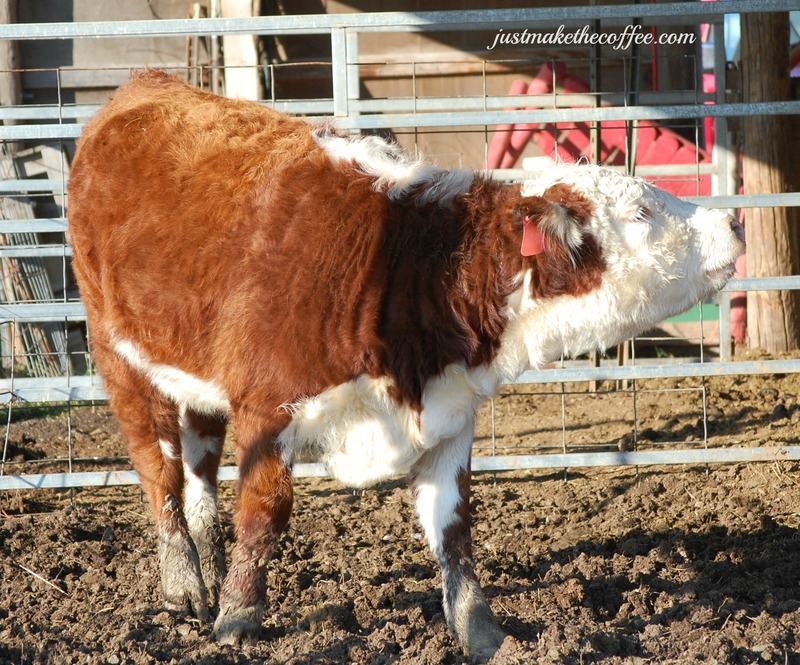 I can tell from your posts that you really enjoy the cows that visit! Happy New Year, Linda. And thank YOU for writing! You’re a blessing for sure! Thank you so very much. 🙂 You made my day! Holidaze–you described it SO well. Branch out and challenge sound good to me. Happy New Year! I can not think of the season between Halloween and Easter without my mind going into a daze, therefore, the term was coined! Happy New Year! I’m trying to drink more water in the new year. I read this amazing article about this gal who took 10 years off her face by drinking 3 litres of water a day. I’m trying for half that much until my body gets used to it. Good to start out with a reasonable amount! I have heard that even water, in very large amounts, can be toxic. Causes issues with the heart or something. I know I don’t drink enough in the winter … tend to go for the hot coffee! 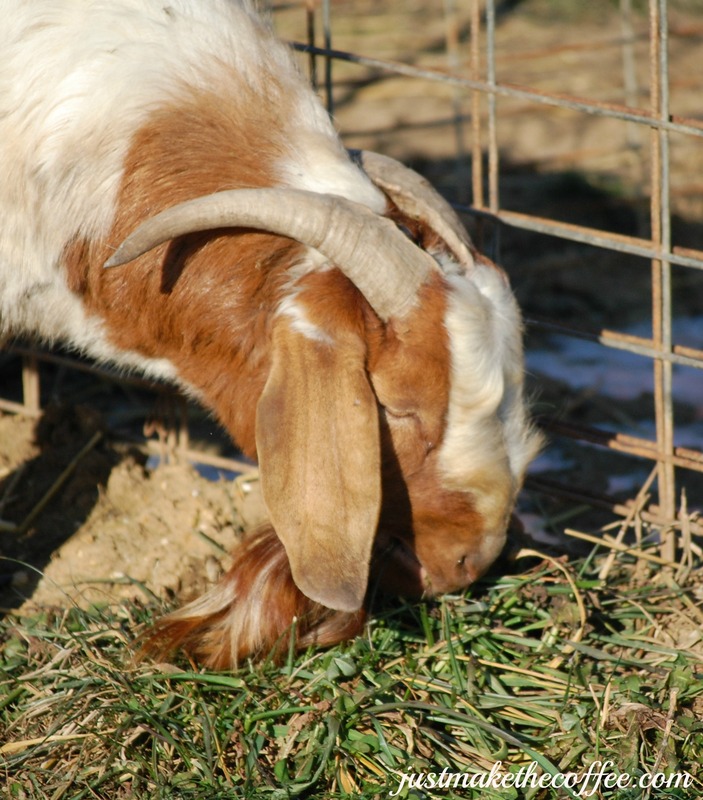 Our goats are still able to find some green things to eat, which is nice for this time of year. We haven’t had to give them any hay yet. Expecting to start kidding in the next week or so. It is wonderful to not have to feed hay! Good luck with the kidding.